Orienteering at Cardiff Outdoor Activities TeamOrienteeringThe Cardiff Outdoor Activities Team (COAT) is an AALA licensed (R1445/L8159) outdoor activities provider. The child centered developmental nature of our work and the range of target groups make COAT a unique provision within Wales. Through the activities we provide we are able to make a positive contribution to children and young person's (C&YP) individual education needs. The elements of adventurous activities we provide also support C&YP through all the key stages of education. As well as the educational benefits, the adventurous activities that we provide aid C&YP to develop the physical, social and mental skills that are so essential to future development. 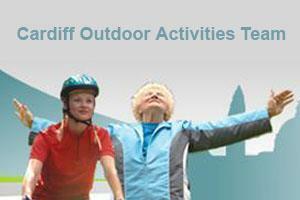 The Cardiff Outdoor Activities Team (COAT) is an AALA licensed (R1445/L8159) outdoor activities provider. The child centered developmental nature of our work and the range of target groups make COAT a unique provision within Wales.